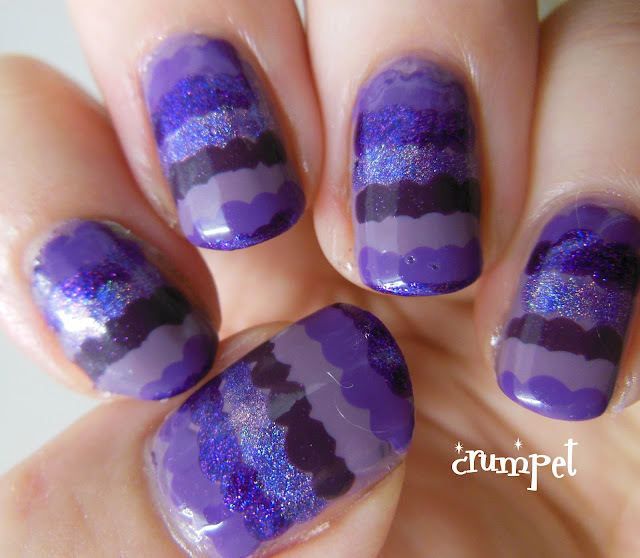 Yesterday we counted down the most read swatch posts on The Crumpet, and today, we're going to look at the most popular nail art posts. It's a real sadness that the nail art posts don't match the swatches in terms of views, but then nail art is a funny thing, and so personal - what one person likes, another might dislike. It's a constant source of amusement / gggrrr to me how I can be really proud of a post and it gets very few views, OR I do a post that I don't consider special in any way at all, and it gets a lot of traffic. Oh well ha ha. Ok, here's our Top 10 - remember, these are the ones you looked at the most, NOT necessarily my favourites, or the ones I'm proudest of. This was for the summer challenge and actually, I WAS really proud of this one. 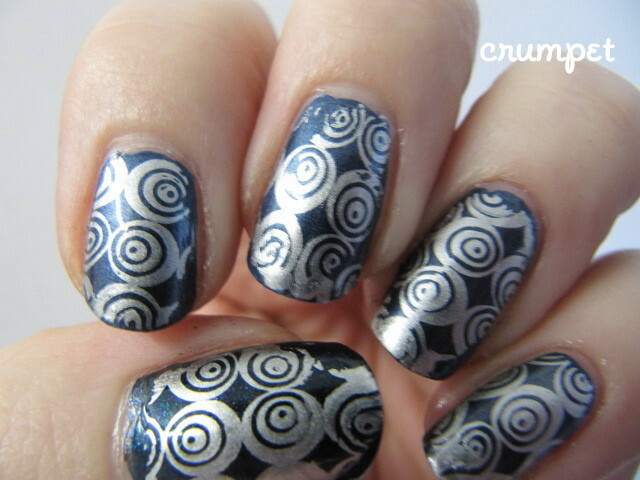 The base is the first "splodgerama" base I did (tutorial incoming) and the stamping worked perfectly on top of it. 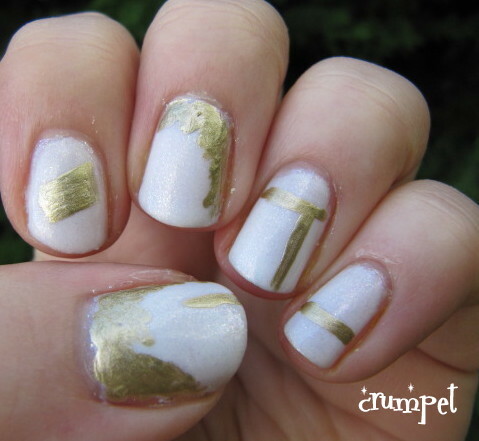 I resisted this type of mani for the longest time, but then decided I should really buy some nail art accessories. 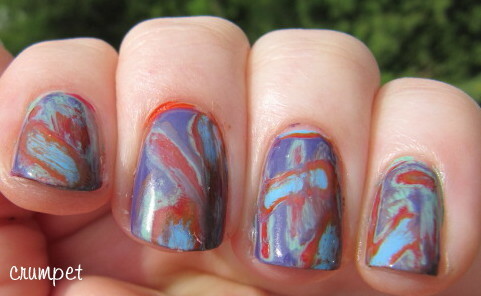 I found this amazing mix of caviar on ebay, and that's how the mani was born. 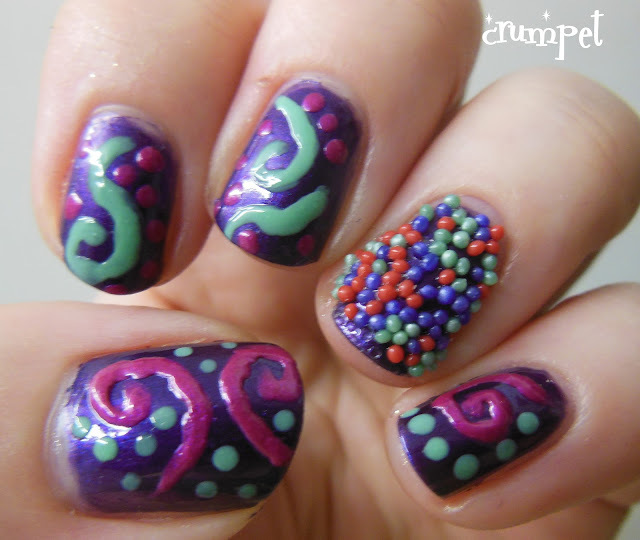 Originally, it was only going to be one accent nail, but the colours of the caviar then inspired the swirls n whirls. Ah, I was proud of this one. Some real art and I tried really really hard! Ah yes, still a big fan of this one. The ruffle is so easy to do! 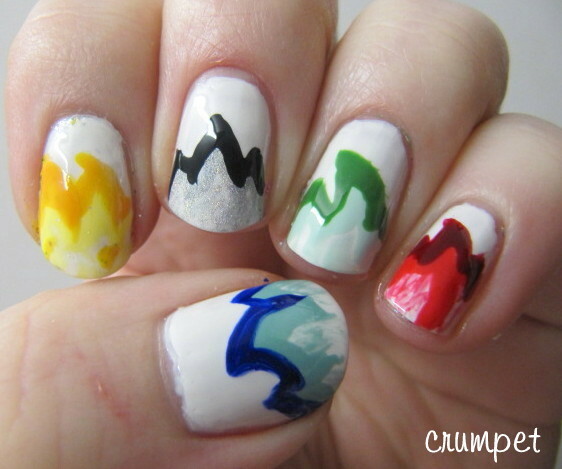 It originally came from Chalkboard Nails, and it's a great easy to do / at a loss / what shall I do type of mani. I was really proud of these nails. 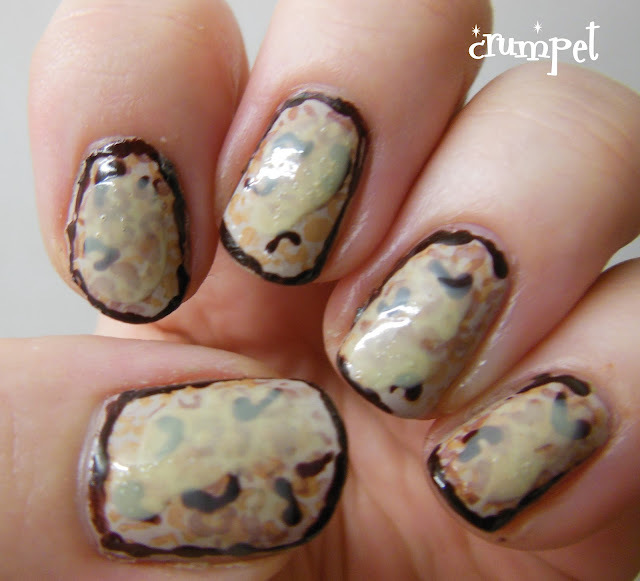 I thought it was an INGENIOUS idea to do Crumpet nail art on my birthday lol, but I don't think many people "got it". 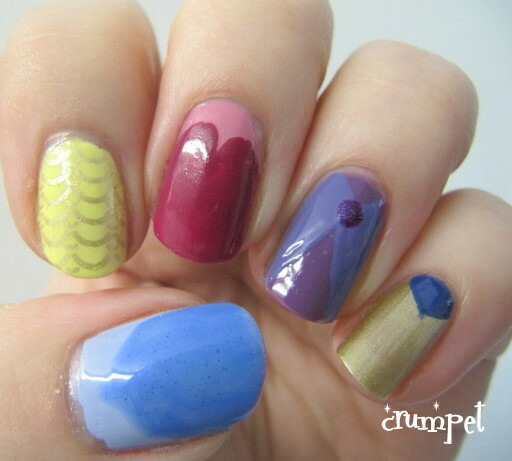 I am sure the number of views is more to do with Happy Birthday than with the nail art! 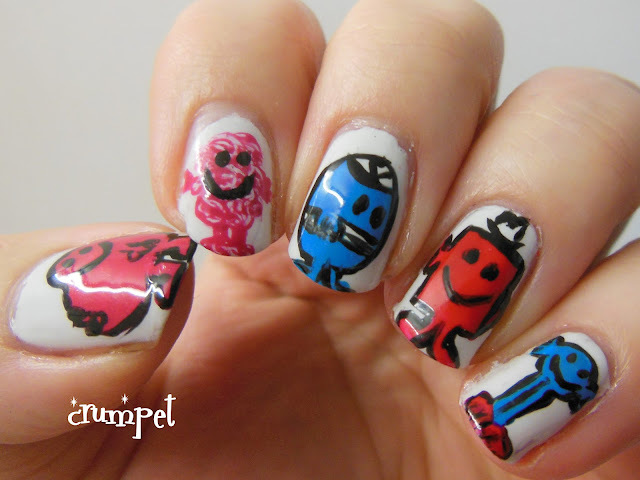 Now, I don't think this one has anything to do with the nail art. One day this got about 200 views, and the traffic source was a Google search for "hideous Olympic outfits", a photo of which was in this post. Ha. This came from a Challenge of Heroes and Villains I did in the summer. I really struggled with it, as I'm not *that* sort of geek, but I really do think it pushed my art forward, and I'm really glad I took part. 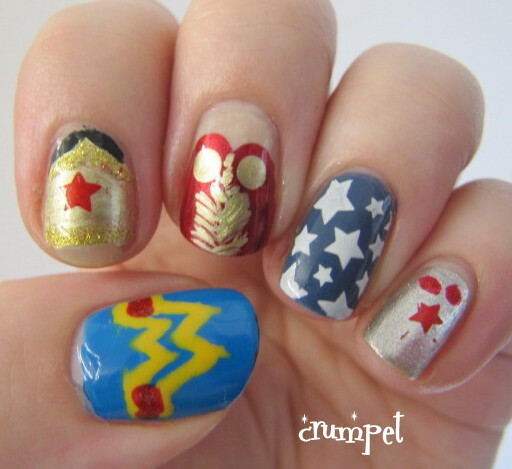 It's also possibly my favourite nail art of the year. 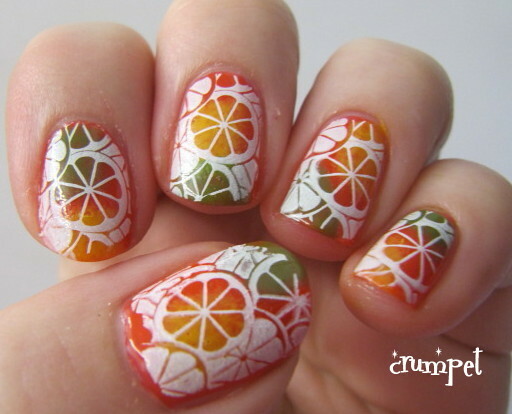 LOVED this mani. Soooo proud of myself lol. I have nooooo idea why this post is so popular. The mani itself is unexceptional. It might be because people were obsessed with this plate when it came out, and were anxious for any glimpses of it. Who knows. This was my opening mani for the Summer Challenge. I was so proud of myself when I did it as I put a lot more time and effort in than usual, AND I used a big girl nail art brush lol. I still like it, mainly for the flames echoing the Olympic colours. This was a collage of Disney Princess dresses - ah. Lol. It's quite nice, quite cute. What's weird, is that I don't ever remember seeing this post being popular in my stats, so maybe it's grown little by little - maybe it's The Shawshank Redemption of nail art posts lol. I certainly don't think it's my best art work of the year. It's quite "funny" to me that other than the Ruffle, there is nothing in this Top 10 that is a technique eg a gradient, tape mani, splatter etc. I wonder why that is ? And which of your favourite posts is missing ?